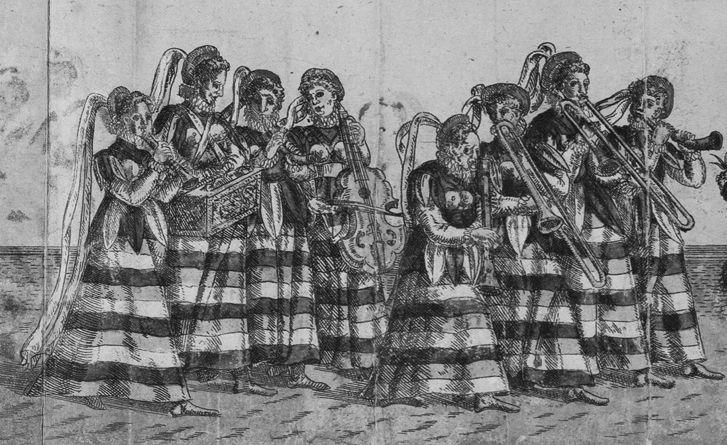 Just added four more images to the Trombone History Timeline (16th century), all of them from processions in Renaissance Germany. 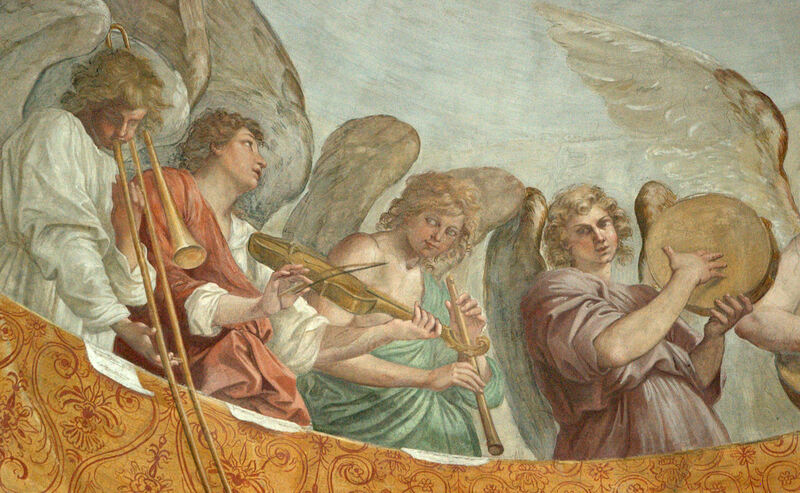 1582—Dresden: Artist Daniel Bretschneider records the events of a procession, including 2 trombonists among a group of female instrumentalists (see below image—click on picture for larger version; public domain). 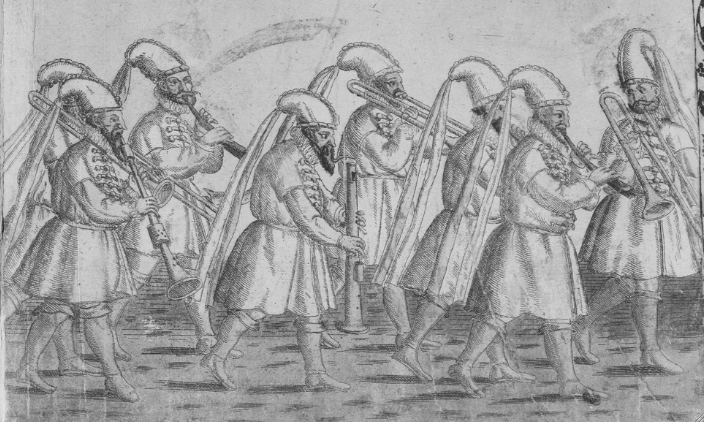 1584—Dresden, Germany: A procession during wedding festivities for Balthasar Wurm and Anton von Sahlhausen (see also entry above), features a group of 8 wind players, including 3 trombones (see below image—click picture for larger version; public domain). 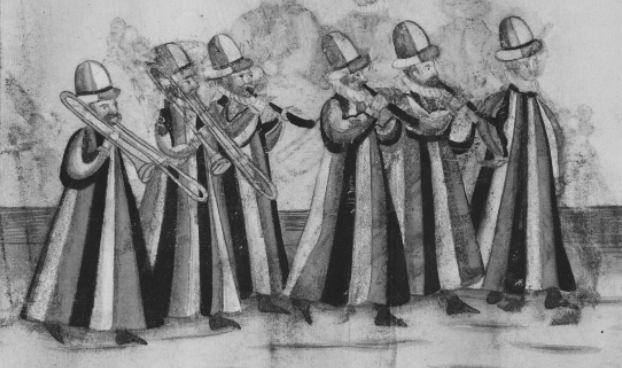 1586-1600—Germany: An image representing musicians in a wedding procession features an ensemble of 3 trombones and 2 cornetts (see below image; public domain) (graphic arts collection, German National Museum). 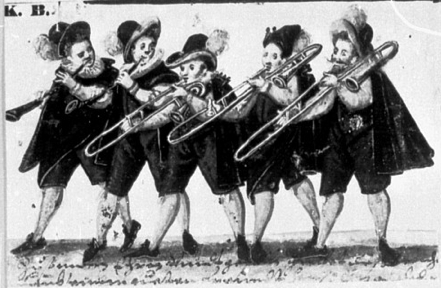 1587—Dresden: Artist Daniel Bretschneider records the events of a procession, including a group of trombones and cornetts (see below image; public domain).